is the languages a thinking tool or a Communication tool ? I personally always use language when thinking. It makes it more simple. Now let's think about a very small child, who can't speak or understand a word yet. Can such a child actually think? Does it actually think? Not certain if the genius who invented the wheel had a word for ROUND. Yes, but it's harder to communicate. So your secret is more likely to be safe with someone who would actually have to draw a diagram, than with someone who can blurt out the words. It's possible to think about all kinds of real, concrete and practical things without language, but difficult to hold abstract ideas and impossible to organize a religion or a smear-campaign. Dubious wrote: Not certain if the genius who invented the wheel had a word for ROUND. Hegel wrote: Is It Possible To Think Without Language? Yes. I often think non-linguistically. However, it seems that some people only think linguistically. I think that explains why some folks have a view that it's not possible to think non-linguistically. That's not to suggest any superiority/inferiority on either side. There are simply different ways to think (at least apparently). Last edited by Terrapin Station on Sun Oct 09, 2016 12:16 pm, edited 1 time in total. Hegel wrote: Hi everyone ..
You can certainly do things with your mind besides think in sentences. Imagination, for example. There are many others. Whether we call all the things done with the mind as "thinking" is a matter of arbitrary definition. Is the coming into existence of a new meaning thinking? Is the naming of it so important? I think that we have to go to biological roots. I performed Husserl's epoche for the first time a very long time ago while sitting on some steps looking out at the grass and trying to understand his book titled Ideas. Suddenly the grass, especially the green of the grass, was transformed. Now my instinct was to "say" in my mind "The grass is greening" but that saying was not what happened. Prior to it there was the event of the epoche. I think that we are biologically programmed to name meaning when it occurs. 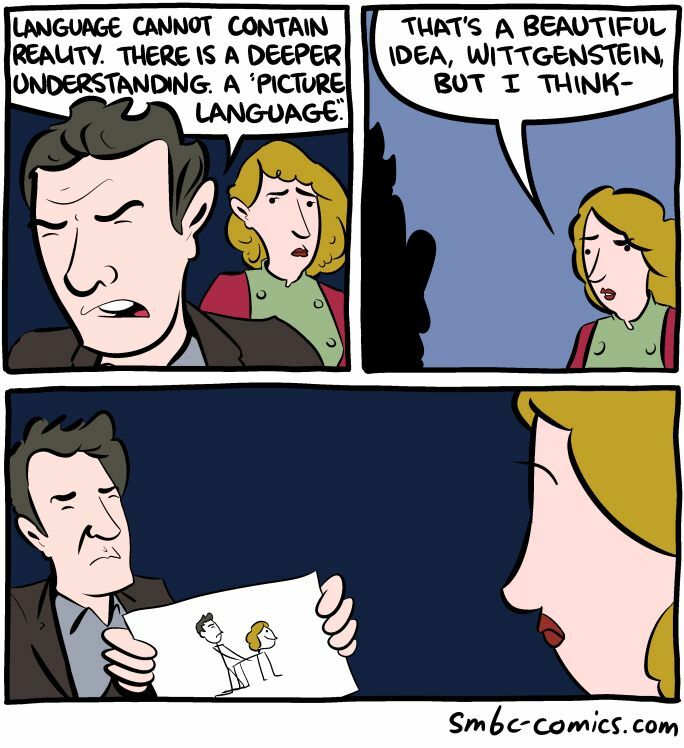 One wants to move ones lips and use ones vocal cords and even point and say in classic Wittgenstein form. "That is green". This urge to move ones biology to form utterance preceded writing I think. But along with it came those cave paintings and the carvings of the Universal Mother. So no, thinking in words is a human thing. Certainly lions can hunt without thinking and their behavior is cooperative and complex. Look at a good athlete in a competitive sport. Ask him to relate whether sentences were going through his mind to figure out which way he had to twist and turn to avoid or capture his opponent of the ball. In a way, in a very deep and serious way, it is necessary to even silence the mind, in order to do certain very deep types of thinking. There is a long tradition that represents this. So no is my answer. You can define thinking to exclude all that we do with our minds that is not done with language but if you do you will not change the facts and there will just be a requirement for another - or other - names to describe the "thinking" we do that is not in sentences. Welcome to the Forum Hegel! Animals think without language (i think!).. What you state re deaf people - and i am presuming deaf since birth is an interesting point. We all have our own inner voice that we use when making a decision, like "i think i'll go to the shed and grab the chainsaw to kill Hex" (just kidding Hex!) but we do think in language so i do wonder re deaf people - i would think they have an idea as to 'get' and 'chainsaw' in some context that they still use as their 'inner voice'. In answer to your question, language is definitely both a thinking and communication tool. Of course it is possible. This man never learned a language yet was able to survive long enough to be discovered by Susan Schaller and taught sign-language and a late age. I do not see how we could do logic, or maths, because you need to be able to work in abstractions. You need to move away from specific instances and use symbols that can represent general categories. Similarly, I do not see how we could do science. One thing we can observe is that it very difficult to talk about words, or what things would be like if we didn't have words, since we are obliged to use words to do so! I do not think this is just some quirky paradox within the philosophy of language, I think it is because it is a mistake to treat words as if they can be singled out from our 'thinking' as a whole. Because we have words like 'word', or 'language', we assume that they can be distinguished from the rest of our mental activity, but I do not think they can be. Just to add to the confusion, it should be noted that the form of a language will influence how an individual thinks. It was once noted that if you look at the structure of French and German, it's easy to see why the 2 countries have been at war for so long. The same holds true for English and some oriental languages, and the attitudes of the people. In this light the question is also what are people thinking, as it is influenced by language?